Additionally, our facility in the Vaughan-Woodbridge places emphasis on speed, agility, and strength as the 4 principle cornerstones of our program. Our goal is for you to achieve extensive results after each session at our club. These Golden Gloves boot camp classes have a limited capacity of maximum 5 to 6 people per session. These types of boot camp classes require personal training from our experienced instructors who have previous combat records and professional knowledge of self-defense. Ultimately, our instructors at Golden Gloves Boxing are dedicated to push your physical, cardio, and mental strengths each time that you attend to the maximum limit. These classes move quickly throughout the weeks in order to achieve the results that you desire. During class, the student will be introduced to a new concept and will be professionally shown how to correctly apply self-defense maneuvers in a martial arts combat combination. Class times may be scheduled personally with the instructor, by phone or via email. Please, fill out the form at our contact page by clicking here. After the student has mastered the fighting techniques taught by our instructors, there will be a review of all concepts learned in order to optimize the time spent on techniques learned. It is sure that with our program, you will achieve the best weight loss results, with confidently increasing your self-defense and hand to hand combat skills. Additionally, there will be sessions that will be spent on self-defense against weapons such as knives, guns, and blunt objects. The ultimate goal of our club and program is that you will achieve a professional understanding of self-defense so that you may apply these martial art techniques at any given situation. Please call: 416-569-9381 for more information or to sign up, we are looking to fulfilling your fitness requests, all the best from GGF. The Golden Gloves Fitness Club has opened an extraordinary boot camp training program in the Vaughan area! Exercises targeting legs, arms, torso etc. In addition, our club in Woodbridge, ON places emphasis on speed, agility, and strength as the four principle cornerstones of our program. Our goal is for you to achieve extensive results after each session at our club. These Golden Gloves Fitness boot camp classes have a limited capacity of maximum five to six people per session. These types of boot camp classes require personal training from our experienced instructors who have previous combat records and professional knowledge of self-defense. Ultimately, our instructors at Golden Gloves Fitness are dedicated to push your physical, breathing, and mental strengths each time that you attend to the maximum limit. These classes move quickly throughout the weeks in order to achieve the results that you desire. During class, the student will be introduced to a new concept and will be professionally shown how to correctly apply self-defense maneuvers in a martial arts combat confrontation. Class times may be scheduled personally with the instructor. After the student has mastered the fighting techniques taught by our instructors, there will be a review of all concepts learned in order to optimize the time spent on techniques learned. It is guaranteed that with our program, you will achieve the best weight loss results, with confidently increasing your self-defense and hand to hand combat skills. Additionally, there are sessions that will be spent on self-defense against weapons such as knives, guns, and blunt objects. 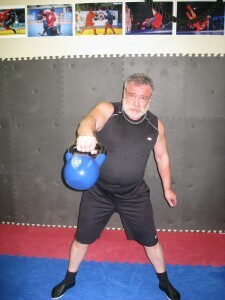 The ultimate goal of our club and program is that you will achieve a professional understanding of self-defense so that you may apply these martial art techniques at any given situation.